Squires, welcome to Medieval Academy, where you'll be trained as knights! Master the art of Jousts and Tournaments, complete dangerous Quests, and polish your Education. You'll serve the king and show your Charity and Gallantry. Only one of you will be knighted by King Arthur himself, so put on your armor and show your stuff! This game falls into one of my top 10, easily. It was a hidden gem, and a great discovery. Its basic game is great for younger kids (my 4 and 8 year old can play) and adults, and with the ability to flip each of the game tiles to play a slightly different/advanced game, the replay-ability factor is exponential. It's a great game where every turn every player is doing something, and has a great theme and fun artwork. Further, the game changes in interesting ways the more players you add, so no game is ever the same! When initially describing Medieval Academy to new players, I tend to put it in a category with 7 Wonders in terms of weight and replay. The two are only slightly mechanically similar, in that a card draft occurs each round. From there it diverges from 7W's angling for resource thresholds and set collection, to MA's focus on anticipating opponents' card plays and timing your own to maximize point gains across the shared tableau. Some boards benefit more tactical choices with immediate value, while others reward the long game. 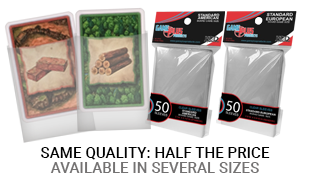 This represents a perfect medium-light-weighted game. Like 7 Wonders, it's a great gateway experience with just enough challenge for more experienced gamers, and has earned a permanent niche in my collection. The game is very straightforward in the mechanics. 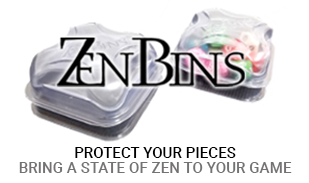 You draft from card that are passed from player to player, providing one level of strategy. These cards can then be used to advance your training discs along the different training tracks in 7 different disciplines based on the numeric value of the cards. At the end of particular rounds, distinct scoring occurs. The different disciplines provide different scoring bonuses (and penalties!) providing for varied strategies throughout the game. There are many strategies and you do have to pay attention to the other players' progress on tracks relative to your own. 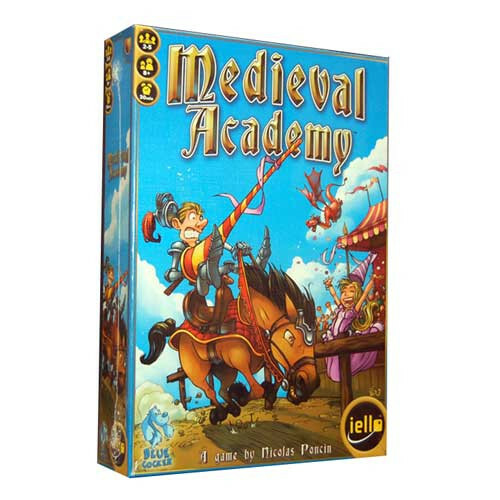 Medieval Academy is very accessible and family-friendly given that you can see everyone's progress on the training tracks and the value of the cards is the amount you advance your training discs. Definitely family friendly, although we've played it with adults only and enjoyed it just as much. In terms of value, it's clever in its simplicity while also providing numerous ways to win - a key to replay value. Very simple worker placement style game lots of choices in what to do but falls flat in the end. This game has simple gameplay, but has a lot of surprising depth in the decisions that can be made. I have successfully played this with a six year old some of my gamer friends at the same time and both loved it. Great components and art also.